Fat Grafting Surgery is the technique of moving fat from one area of the body to another to improve contour, enhance features or correct defects. This procedure will remove a patient's own fat to re-implant it where needed. The fat cells are taken from one part of your body and are injected back into the desired area such as the lips or chin replenishing the skins collagen layer, cheeks, smoothing lines and wrinkles and plumping out the treated area. breast size can also be increased with fat grafts. fat also acts as stem cells. 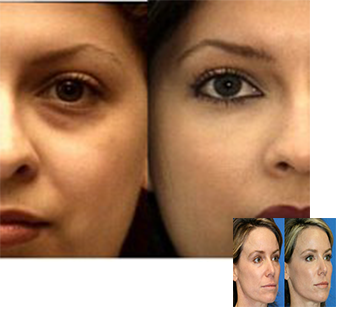 Fat Grafting is the technique of moving fat from one area of the body to another to improve contour, enhance features or correct defects. This procedure will remove a patient's own fat to re-implant it where needed. The fat cells are taken from one part of your body and are injected back into the desired area such as the lips or chin replenishing the skins collagen layer, cheeks, smoothing lines and wrinkles and plumping out the treated area. This cosmetic procedure can be used to rejuvenate the face, augment the cheeks or lips, or correct problems such as hollowness around the eyes or acne scars. Fat grafting can also be used as a corrective measure when too much facial fat has been removed during a facial rejuvenation procedure like facial liposuction or buccal fat extraction. When used as a facial filler, fat grafting can improve the creased and sunken areas of the face, and add fullness to the lips and cheeks. Fatgraft are also used for breast augumentaion. They also act as stemcells. They give rejuvenation to whole face and skin. It is an OPD procedure with allmost no sideeffects.